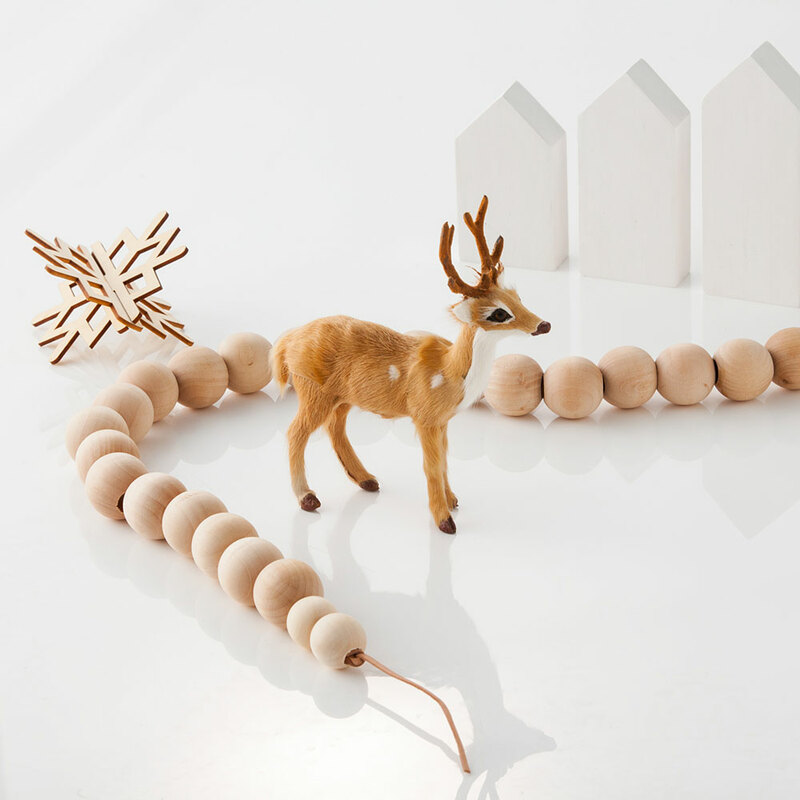 Our mantra at Laikonik has always revolved around words like natural, tactile, beautiful and simple. 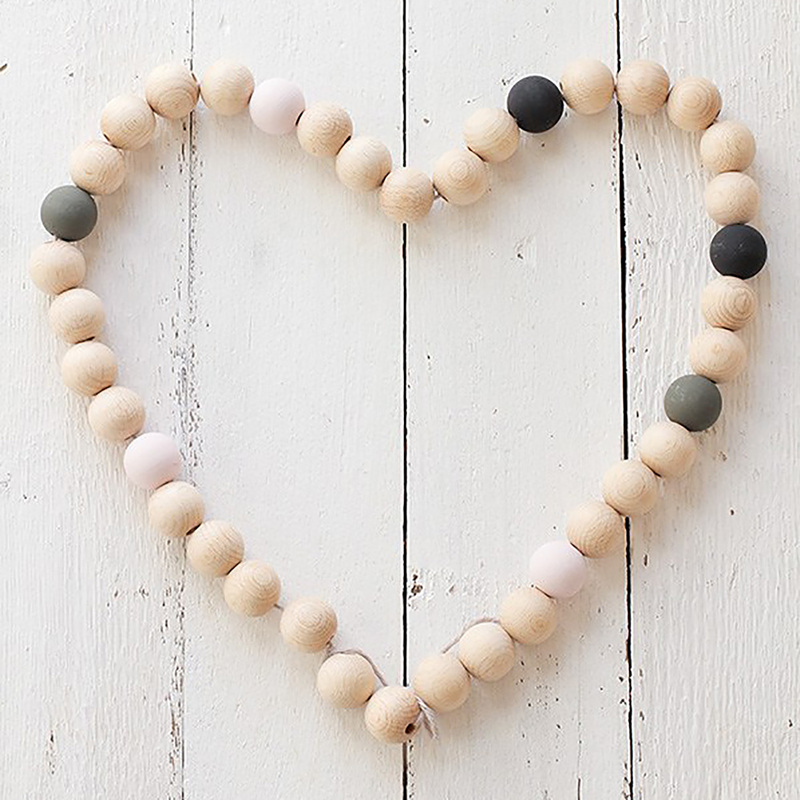 We’re not sure that any of our products embody all of these ideals as much as our DIY Natural Wood Bead Garlands. Maybe that’s why we’re so in love? 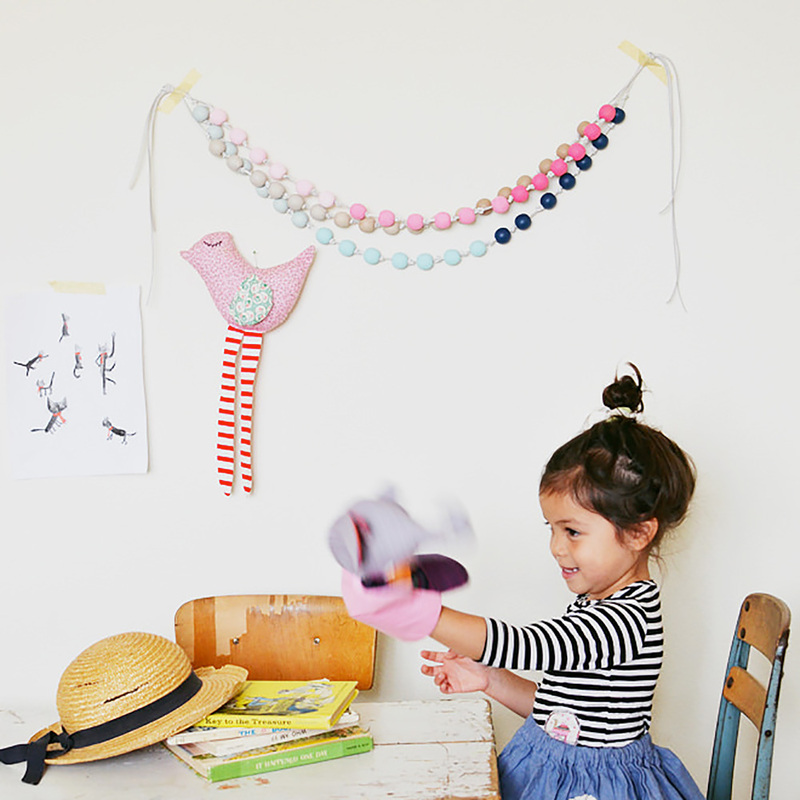 Consider your next craft day with (or without) the kids sorted with this little beauty. 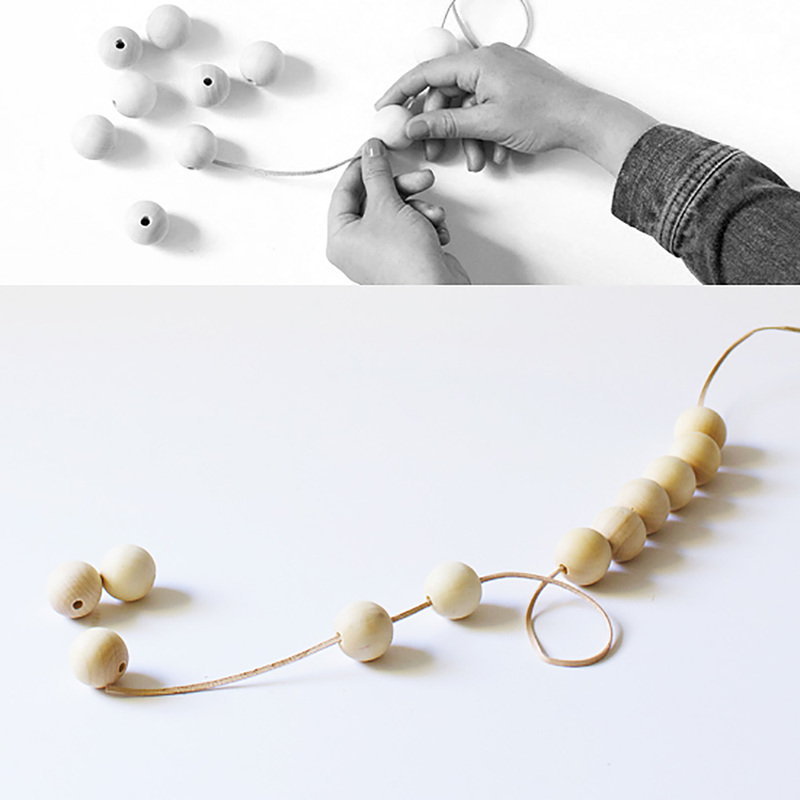 Included are 70 gorgeous natural wood beads and 3 metres of natural leather, just add your imagination! Dip them in pastel paints and string them up with wooden pegs to display cute photos and kids paintings. Half-cover in craft glue and roll in glitter for a bit of pizzazz. 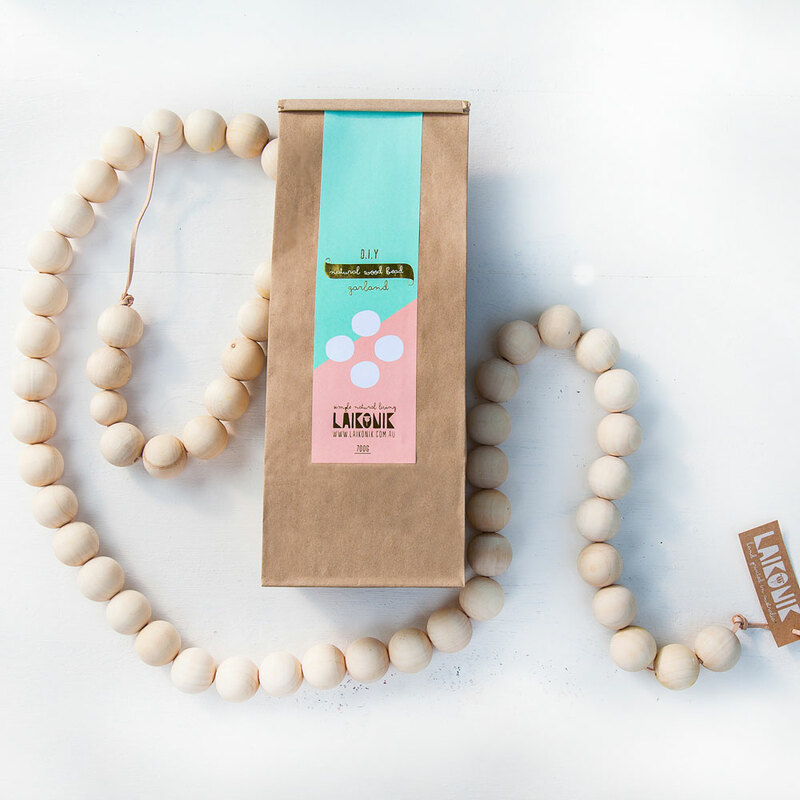 Divide up the beads and leather between a group of little girls (or big girls) and let them design their own Scandi-inspired necklaces à la Gorman, Funkis and Elk. The possibilities are endless, we can’t wait to see what you create!